NASA’s Juno spacecraft is set to begin the most extensive study of the solar systems sixth planet Jupiter, after safely entering orbit. Named after Jupiter’s mythological wife, NASA’s Juno spacecraft successfully entered orbit of the gas giant on July 4th, 2016. NASA facilities have recieved the telemetry of the completed orbital insertion engine burn. Juno launched from Cape Canaveral on August 5, 2011. The Spacecraft has traveled 1.7 billion miles, reuniting with its planetary “husband,” however the spacecraft’s real work is only just beginning. 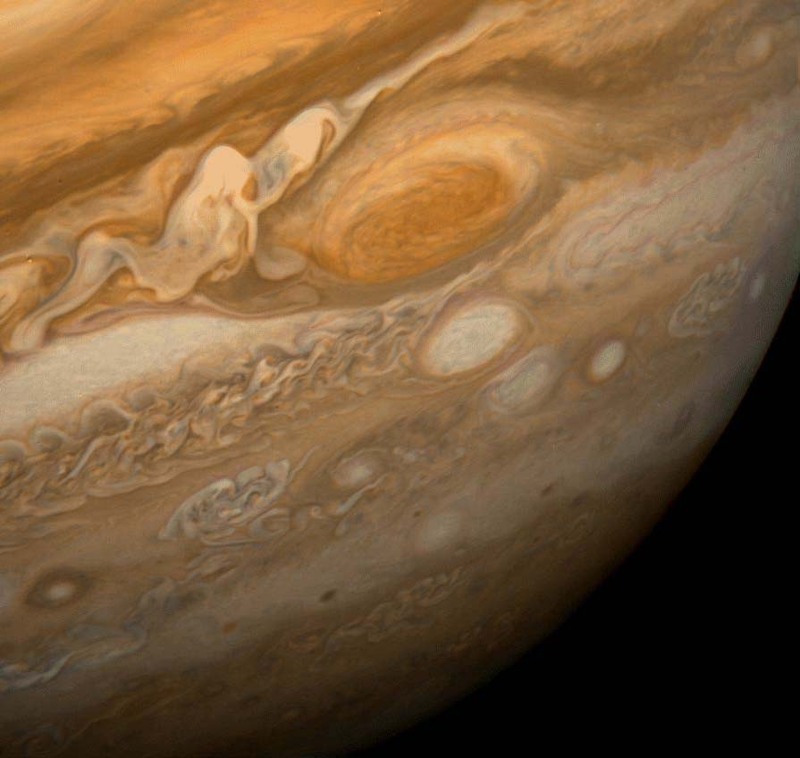 Achieving orbit in of itself is the penultimate feat for this first-ever mission to Jupiter. Foremost, Juno independently increased it’s rotation rate from two to five rotations per minute. Juno completed a slow down by 1,212 miles per hour, capturing Jupiter’s natural gravity establishing orbit. Juno is a solar powered craft, and managed to successfully rotate its 18,698 individual solar cells faced toward the sun, powering the craft for its mission. Now that Juno has entered orbit, it will begin it’s foremost mission: collecting data. For approximately 20 months, the probe will relay information about Jupiter as it orbits, breezing 3,100 miles above the topmost layer of Jupiter’s clouds. NASA is planning for Juno to complete 400 full rotations of Jupiter before it’s mission is complete. Juno is equipped with eleven instruments specifically aimed at amassing information on Jupiter’s origins. Collecting data to establish the amount of water in the atmosphere, and the possible existence of a solid planetary core. The probe is moreover fitted with a color camera, called JunoCam, which will be taking and posting images of the gas giant throughout it’s mission. Detailed schematic of Juno and Scientific Instruments. Meanwhile during the initial months of orbit, NASA will test Juno’s instruments, completing final calibrations and collecting some preliminary data. Full data collection will begin this October. TGNR will be standing-by.